Call Dents Away today and let us have a look at your vehicle. 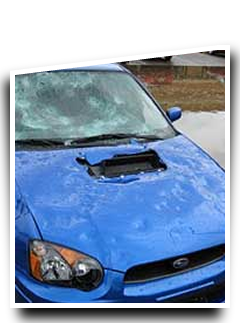 You are sure to be pleasantly surprised by what we are able to do for you with our paintless hail dent removal. We also have many other great services to offer you! Feel free also to get in touch with us if you have any questions regarding our services. We look forward to answering all of your questions and introducing you to the superior service we provide at Dents Away. Removing dents, dings and creases from different types of vehicles is what we do best. We have applied advanced technology in restoring your vehicle to its original appearance and without marring the beautiful and original paint finish of your car or truck. Your custom paint will stay in place while we work on the dents in your vehicle. Using specialized tools and techniques, our team of car body repair experts will push the dents and creases back into place. 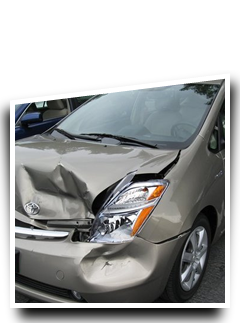 Massaging the outer edges of the dent and moving towards the center until your car is fully restored, our auto body repair shop is your premier provider of quality auto body repairs in Toledo, Ohio. Saving the integrity of your car's appearance, the dents will be pushed back gently until your vehicle's body reverts to its original position. You can count on our team of certified technicians to thoroughly recondition your car and keep it looking beautiful. For most of our customers, paint-less dent removal services are handled promptly and you can have your car back the same day you had it checked in. What is more terrific about the auto body repair services we offer is that we give you the convenience of having your car checked in your location! Our mobile auto repair services will save you the inconvenience of having to go to our auto shop. Whether it is at your home or your office, we will be happy to accommodate you and drive to where you are at for auto body repair services. For car dealers, rental agencies or individuals who have concerns with vehicle dent removal visit our team in Toledo and we will make your cars look like new again. Providing services that keep the original paint intact, we have a leg up over other auto body repair shops that only offer traditional auto repairs. Specializing in paintless dent removal services for different models and makes of cars and trucks, we assist customers in protecting the value of their cars. As an investment, you can capitalize more on your car when it is at its best condition. If you have dents or creases on your vehicle's body and you need to have them taken care of, traditional auto body repair is not the ideal solution for you. Aside from incurring exorbitant costs for traditional auto repairs, these types of repairs also take more time. You need to have your car for getting to and from work and running the different errands you have every day. In view of this, having your car in the auto shop for a lengthy period of time will create unnecessary hassles that you can definitely do without. Our professional technicians are exceptionally trained and you can depend on them not to ruin the paint finish of your motor vehicle when you have it checked in for paint-less dent removal. They do not push the dent too hard when they tap on the high spots of the damage because they know that the paint may split and the finish of your car will be ruined. Using sophisticated tools that ensure quality work, we remove dents and creases to transform the damage and make the surface look flat again, matching the surface and paint texture of your car. With paint-less dent removal services, our techs can see the fine details of the extent of the damage to your car. This enables us to apply techniques more accurately and eliminate the need for repainting your vehicle. Using superior paint-less dent removal tools for solving your unique auto body repair needs, we have the most refined approach to handling dents or dings in all types of motor vehicles. Calling us up for business will resolve your concerns about dents of any size and shape. We have the goods, the expertise and the experience to back up our goal of serving our customers and making them satisfied with the job we do. No matter how inaccessible the dent in your car is, we will find a way to apply our dent removal techniques by carefully removing the panels of your vehicle. Placing yourself in the hands of our capable personnel will save you time and money. The specialized processes we use in our services necessitate high standards from our personnel. They are evaluated and thoroughly screened. Everything from visual acuity to attention to detail is something that we prioritize when we hire experts to join our team of paint-less dent removal technicians. While we work efficiently and continually push ourselves to finish dent removal services the same day, our team never compromises quality when they are working on your vehicle. 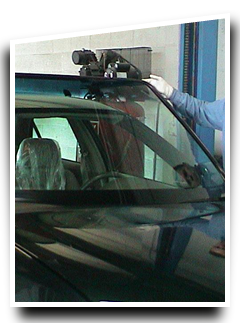 Our team of certified technicians does not cut corners when they provide dent removal services. They do not rush their work and can be counted on to take their time in assessing what needs to be done for us to generate positive results after working on your car. Re-creating the texture in your car or truck can be challenging for the average auto body repair technician. Fortunately for you, our team of paint-less dent removal techs has undergone extensive training and will be able to handle the specifics of the services needed for repairing the damage to your car. Selecting the proper tools for instance, is very crucial for getting the best results in paint-less dent removal services. If a technician uses the wrong tool tip for treating a specific damaged area, then you will not be able to restore the car with the paint finish intact. Our team of auto technicians is able to do that with their knowledge of the products available and familiarity with various types of vehicles. When it comes to techniques in dent removal, our auto body repair personnel have got theirs down pat. Their tapping technique is precise since they can figure out the "highest spot" in the dent and they push it with extreme care. Instead of hammering down on it like other technicians do, our team can modulate the pressure used to push on the dent, thus assuring a better result while preserving your vehicle's original finish. Our reputable business has a team of paint-less dent removal technicians who can exceed your expectations. They will not overlook the important particulars of your repair needs. Using original and quality products and refined techniques makes us your one-stop auto body repair shop. Call us up for your paint-less dent removal concerns and we will restore your car's beautiful appearance. With the quality services we offer, repainting can be done away with. Not having to repaint your vehicle will assure you that there is no paint overspray on the other areas of your vehicle. You can also rest easy knowing that you do not have to worry about incorrect color matching when you ask for traditional auto body repair services. In addition, you eliminate the untoward expense of repainting your car when, after all, you just wanted the kinks worked out. Have paint-less dent removal services from our auto shop and reap the benefits! Contact our efficient crew and we will knock on your door for guaranteed mobile auto repair services.